Liposuction is a cosmetic surgery that helps us shed some of the stubborn fat that no amount of exercise and diet can help us get rid. While some of us may go for this procedure to get our bodies in better shape and although it is not a weight loss procedure, some still get it done so they can lose some weight and then maintain the lost weight by a healthier lifestyle. Experience of the surgeon – An experienced or famous surgeon may charge a lot more than a less experienced surgeon. Cosmetic surgery is a very common medical procedure these days and made more common by our celebrities. With that have come many celebrity surgeons. So if you want to get operated by a celebrity surgeon, it may cost much more than a surgeon at the general hospital. The area to be operated – Liposuction can be performed on various body parts like abdomen, hips, thighs, chin, cheeks, neck, upper arms, etc. Based on how big the area is or other factors skin condition etc. may contribute to the cost. 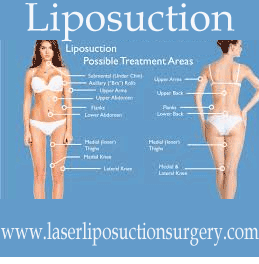 Type of liposuction – There are various methods to perform liposuction, like tumescent, laser, ultrasound, etc. The physician can suggest methods depending on your medical history, skin condition or other factors. Depending on the technique used the total cost of surgery may change. State where you are taking the procedure – Though this is not a technical factor guiding the price of the procedure, however, high-end states like New York will definitely cost a lot more than any rural state in the country. Hospital bills, these may include any hospital facility related cost. Post-surgery you may need compression garments, medicines, etc. Since it is primarily a cosmetic procedure, it is usually not covered under insurance. Most of the hospitals and surgeons offering this procedure will accept cash, cards, checks, etc. Many hospitals provide in-house financing or work with third party financiers to help you pick up a loan and pay back in easy installments to help ease the burden on your wallet. It may seem smart to look for a low-cost surgeon, however, it is advised that when you are getting such a procedure done do not compromise on quality for the price. A surgeon with experience will be able to give you good results which may not need to be followed up by other treatments or any side effects. However, an inexperienced surgeon may not be able to deliver that well, and if you end up with any side effects then you will need to spend a lot of money after the surgery on fixing the problems you encounter and will eventually spend more money than you had planned. Once you have a good physician to guide you through the process, rest of the things that you need to know for the surgery will be well explained to you and you do not need to worry about anything else. So make a smart decision and pick the right doctor the first time to get the results you want. Whatever your reason behind this choice, it is important to understand all the aspects of the surgery. Even though it is not considered as a severe or invasive medical procedure it still is surgery and proper precautions before and after need to be taken.